Pads and Rolls - Supply Pro manufactures pads and rolls with our advanced fine fiber meltblown polypropylene technology. Longer fiber length gives our pads higher tensile strength, more durability, and greater absorption than our competitors’ standard meltblown pads. For large volume buyers, we will manufacture products customized to your specifications, and private label products upon request. Please call DISTRIBUTOR PHONE and give DISTRIBUTOR NAME the opportunity to lower your current pad and roll costs while providing you with a superior polypropylene product. Supply Pro, Inc. Pro Knit Socks are available for your oil only, universal, or hazmat applications. Color coded for easy identification Pro Knit Socks are filled with precise consistency lessening the likelihood of liquid leak through. A typical case of 40 four foot socks weighs 40 pounds. Pro Knit Socks absorb faster and perform with durability in the work place. Supply Pro can custom manufacture socks in your choice of length and color. Supply Pro, Inc. 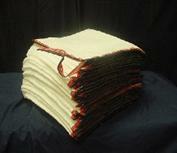 Pro Absorbent Pillows are available for your oil only, universal, or hazmat applications. 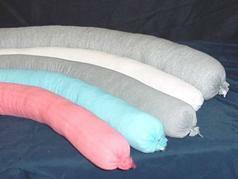 Pro Absorbent Pillows absorb faster and perform with durability in the work place. Supply Pro, Inc. is one of the largest distributors of poly bags and poly sheeting in the state of Texas. High volume purchasing equates to buying power in the commodities market, and we pass the savings on to our customers. Supply Pro has always, and will continue to set the mark when it comes to competitive pricing on poly bags and poly sheeting. 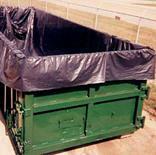 Easy Slide roll off box and end dump liners are manufactured with durable low density polyethylene. Slip and anti-block additives ensure easy slide performance. Stop wasting time at the dump and keep your drivers on the road. Call DISTRIBUTOR PHONE and let DISTRIBUTOR NAME cut your cost on liners. Poly sheeting is available upon request in a multitude of sizes and in your choice of clear or black. Save money with Supply Pro’s Super Strength alternative. Please call us for a quote. We provide oil field supplies for the United States, Mexico, and Texas.